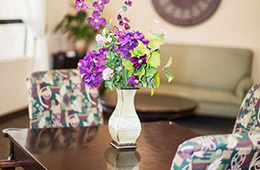 Westgate Gardens Care Center is committed to creating a diverse environment and is proud to be an equal opportunity employer. All qualified applicants will receive consideration for employment without regard to race, color, religion, gender, gender identity or expression, sexual orientation, national origin, genetics, disability, age or veteran status. As jobs become available, we will post them on the Available Positions page. You may use the Application for Employment form to apply for any job. We thank you in advance for your interest in becoming part of our growing team of professionals.